How to withdraw money from IQ Option? To withdraw money from IQ Option you can use bank or wire transfers, credit cards, debit cards, and e-wallet. Withdrawing money from your IQ Option account is quick and straightforward. Once you’ve chosen your preferred method, the binary options broker will have your request processed within one working day with no withdrawal fees or charges. It’s one of the nightmares of traders: you can’t withdraw your money. You may have come across refused or stalled withdrawals. There could be two reasons for this: the broker you’ve been dealing with may not be a legitimate entity or, if it is a genuine broker, it’s been enforcing strict withdrawal procedures to make sure money is transferred to the right person. The former is unfortunate and the latter is understandable and, in fact, works to your advantage, what with all the instances of fraud involving both brokers and traders. If you’ve struggled before with withdrawing your earnings from a broker, you’ll find IQ Option a great improvement, which offers fast and hassle-free withdrawals. In this guide, we’ll walk you through the withdrawal process, options and limitations using this broker. We’ll also throw in some pointers on how to invest your earnings properly. The great thing with IQ Option is that it offers a free demo trading account that you can test drive if it’s your first time to come across the company. You get virtual funds that you can use for simulated trading or, if you want, for real trading. 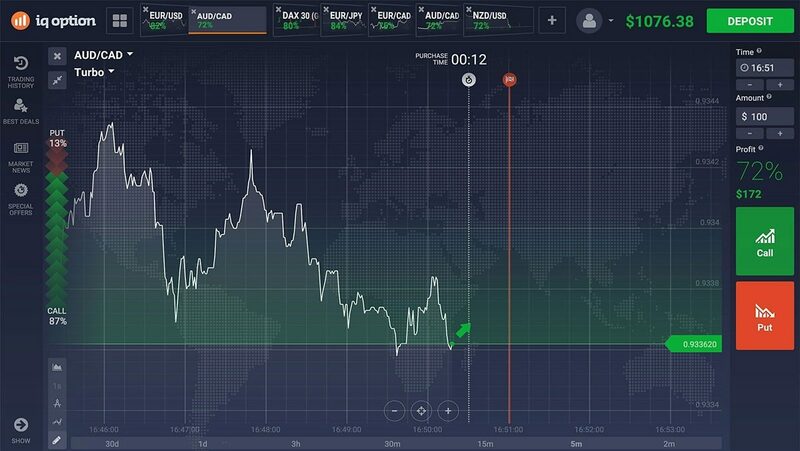 You can sign up for an IQ Option free demo account here to try first-hand its trading tools and features. Should You Withdraw Money Right Away? There are many advantages to using IQ Option. You’ll be dealing with a known legal entity that is licensed and regulated by the Cyprus Securities and Exchange Commission. It has one of the easiest trading apps around, extends world-class customer support, and provides safe and fast money withdrawals using several methods as you’ll learn in this article. Even if you find in your research that IQ Option is the real deal, it is still important that you read in detail its terms and conditions. While the steps in withdrawing may be the same for most brokerage companies – select amount, choose withdrawal, confirm your decision, and wait – there may also be crucial differences. These include the allowable amount that can be withdrawn and the length of time before money is transferred to your bank. Of course, the broker may require other things from you such as proof of identification or other supporting documents. With IQ Option you’ll find the process more streamlined than most which make it a popular platform for both long-time and new traders. If you only trade to have some fun, go ahead and withdraw your money. In this case, you should ask yourself why you invest real money at all. You could have the same fun completely risk-free with the IQ Option demo. If you trade seriously, you should wait before you withdraw as you probably have a trading plan. The broker’s advice aside, let’s answer our question: How to withdraw money from IQ Option? Withdrawing through IQ Option is just as fast and easy as earning money using the app. In fact, it’s one of the simplest in binary options trading niche, as cited in various binary options brokers reviews. You can use credit cards, e-wallet providers and wire transfer to withdraw money. For absolutely free of charge, you could enjoy the immense benefits of credit card and e-wallet withdrawals. You only need to factor fees when you choose the wire transfer withdrawal option, the rate depending on your provider. Where other brokers take two days to process your withdrawal and charge you $30 to $50 for it, IQ Option does the same job quicker within 24 hours and for free. Such policies matter. IQ Option stands as the best choice for traders to make the most of their withdrawals. The IQ Option trading platform. IQ Option processes all withdrawals within one business day free of charge, but how soon the money actually gets in your hands and how much else you pay after IQ Option depends on whether you are withdrawing through credit or debit card, wire transfer or e-wallet. Check out the different withdrawal methods below. Withdrawing through a credit card or debit card is the preferred choice of withdrawal at IQ Option. Currently, IQ Option accepts withdrawal from following bank cards: Visa, Visa Electron, Maestro and MasterCard. In case you are having reservations about conducting funds withdrawal through your bank card, you may rest assured from the fact that IQ Option boasts the first highest Payment Card Industry Data Security Standard, merchant level. There are a number of reasons why you may want to use wire transfer only as a last option to withdraw funds from IQ Option. As with e-wallets and bank cards, IQ Option will process wire transfer withdrawal requests within 24 hours. Once such withdrawal requests leave IQ Options, however, they usually take a longer time to complete processing by the banks in which you hold an account. Wire transfers generally require payment, the rate depending on the locations involved and the practices of your bank. Most traders are able to avoid such fees but if you cannot, it would be wise to consider the cost of payment involved. With credit card withdrawals, you do not have to consider such fees. While it can be said that withdrawing through wire transfer is best reserved as a last-resort option, there are also special reasons why this payment method is still necessary. One outstanding reason is the existence of the so-called anti-money-laundering law, which is reflected in that provision wherein you are only allowed to withdraw through your credit card as much money as you deposited using it. If instead, you deposited money via wire transfer, that leaves you no option but to stick to wire transfer for all withdrawals, having opted out of credit card transactions. It might also happen that you have eventually used up all your bank card credit: when you have withdrawn as much money as you have deposited. If this happens, withdrawing through wire transfer might be the only option left for you. One of the better methods to withdraw your winnings is via an e-wallet. It is usually provided by a third-party provider or payment gateway. E-wallets are not without issues though, but if you stick to the popular ones, you’re less likely to encounter problems. Below, we list the most common e-wallet channels used for IQ Option.  the IQ@ Option withdrawal page. How to withdraw money from IQ Option using e-wallets? Here are the different providers with a few tips, one that will allow you to use this channel to get your earnings. Skrill is based in London, United Kingdom. During registration, it asks for your email address to be used as your account login. You have a chance to activate a two-factor authentication for additional security. You can link your bank account or credit card but expect the verification process to take some time. Make sure that your preferred currency is one of the 40 countries accepted by Skrill. Skrill does not operate in Latvia, Afghanistan, Cuba, Myanmar, Nigeria, Somalia and Yemen. It is not available in Iraq, Eritrea and Libya. Note that Skrill sets a maximum limit to your transactions. Headquartered at Douglas, Isle of Man, Neteller requires you to verify your account first before you could retrieve your funds. To do this, you have to submit a bank statement issued not later than three months ago. For account login you will use your email address, which asks for during the registration process. It offers what it calls Net+ Prepaid Card which you can conveniently use for direct money transfers. Neteller sets both minimum and maximum transaction amounts, the latter depending on your choice of currency. It supports 26 national currencies, which you can verify on its website indicated above. Neteller does not work in Afghanistan, China, Cuba, Eritrea, Iraq, Kyrgyzstan and Libya. It offers limited services in the following countries and territories: France, Germany, Hong Kong, Italy, Macao, Singapore, Spain, Turkey, UAE and the United Kingdom. In most Arab countries banks do not work with Neteller. Clients from these countries may want to use WebMoney or Skrill instead. Headquartered at Moscow, Russia, WebMoney has won several awards in 2016. No bank account or credit card is required to open or operate a WebMoney account, making it accessible to many people. It supports 8 different currencies and assets, which can be verified on its website through the link above. WebMoney does not provide its services in the following states and territories: American Samoa, Afghanistan, Algeria, Angola, Bosnia and Herzegovina, Ecuador, Guam, Guyana, Indonesia, Iraq, Laos, Libya, Mali, Mauritania, Myanmar, Northern Mariana Islands, Panama, Papua New Guinea, Somalia, Yemen, Uganda. Boleto is a payment method in Brazil, where it is officially known as Boleto Bancário. It is regulated by FEBRABAN, short for Brazilian Federation of Banks. A boleto can be paid at ATMs, branch facilities and internet banking of any bank, post office, lottery agent and some supermarkets until its due date. After the due date it can only be paid at the issuer bank facilities. Boleto can only be collected by an authorized collector agent in the Brazilian territory. An Indonesian electronic payment system based in Orchard Road, Singapore, FasaPay allows maximum withdrawal of US $75,000.00 and just a minimum US $1 per transaction. You can do multiple transactions each day at fees ranging from free to 5%. You must be a verified account holder to make transactions at FasaPay. To be a verified account holder, PasaFay requires submission of bank documents. Aside from standard account password, FasaPay provides 4 other ways to secure your account. FasaPay currently supports US dollar and Indonesian rupiah (IDR) currencies. As a security measure, IQ Option requires that you withdraw using the same bank card or e-wallet you have used to make a deposit. If you don’t, the system will cancel the withdrawal request. Thus, if you have initially deposited through Neteller, then you need to make the withdrawal back through Neteller. For bank cards, you must withdraw within 90 calendar days from the last deposit. Another security measure applies: how much you withdraw must not exceed the amount you deposited. This limitation does not apply to e-wallets. Finally, if you choose to withdraw through both your bank card and e-wallet, IQ Option prioritizes withdrawals through bank cards than other types of withdrawals. IQ Option has recently implemented instant bank card withdrawal processing, which eliminates the previous 3 working days waiting period for your withdrawal application to be processed. Nevertheless, bear in mind that once the application is approved, it can take your bank up to 9 working days to actually credit the funds to your account. It pays to remember this and not get alerted when you see the status indicates it has been completed yet you still don’t see funds on your card. Example 1: You initially deposited US $500 to your card. Within 90 days you accumulated US $600 on your balance. To withdraw, you need to proceed with two withdrawals: US $500 to your bank card and US $100 to your e-wallet of choice (Neteller, Skrill, etc.). Or you can use wire transfer, though this will leave you with US $50 less as processing fee. Not a good way to withdraw, unless you have large enough funds to offset the cost of processing. Example 2: You deposited US $500 and have the same amount that you now want to withdraw after 100 days—well past the 90 days that allows you to withdraw through your bank card. Bank card withdrawal option out, but e-wallet or wire transfer options still possible. Most likely you will choose e-wallet to avoid the US $50 processing fee. Example 3: You have deposited US $500 through your bank card and US $100 through your e-wallet. You want to leave your bank card funds intact but withdraw from your e-wallet. IQ Option does not allow that: you need to withdraw $500 through the bank card first before you can withdraw from the e-wallet. This is the withdrawal hierarchy at IQ Option, requiring clients to make withdrawals against bank cards first before e-wallets or cash transfer. If you have carefully read through the previous discussions, you should be ready to make your first IQ Option withdrawal. Withdrawing your money from IQ Option means one thing – you’ve accumulated enough from your winnings and are out to enjoy the fruits of your wise trading strategy. You’ve seen how easy the process is to get your cash from your partner broker. You’re a serious money trader and want to plow in back your winnings or even just a part of it. You feel you have a full grasp of the numbers trend and how commodities, currencies, and stocks move in the world market. No worries. 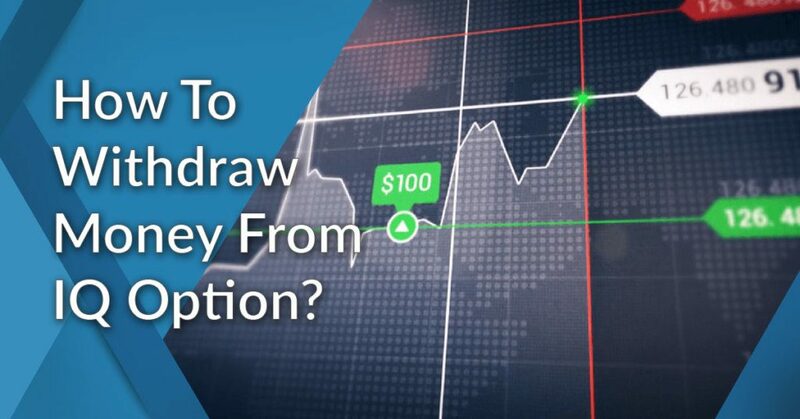 Depositing your money to IQ Option is as simple as withdrawing it. You just go to your account, click the deposit button, select your payment method (credit or debit card, wire transfer), enter your credit card information, and then press pay to see your money deposited in your account. To get the full details on how it all works, you can head over to our article How To Deposit Money To IQ Option? Best Methods & Tips To Fund Your Account. IQ Option can be your investment gateway to the world of binary options trading. It is a multi-awarded online trading company that boasts of 25 million registered users worldwide and a monthly trading volume worth $380 million. In 2016, it introduced instant withdrawals and one-day processing and currently peak at over $10 million total withdrawals per month. It also has one of the most advanced online as well as mobile trading apps. If you want to, you can start trading at once – just sign up for an IQ Option free demo account here. How Does IQ Option Make Money? Based on your first example, a person deposits $500 using a bank card…does it mean the person is only allowed to withdraw that exact amount($500)…or it could withdraw less but not more? ?